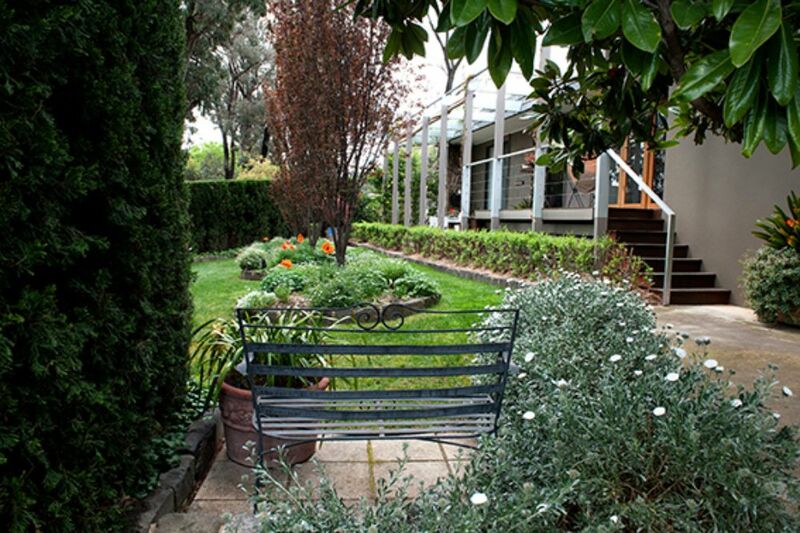 Sally’s garden is a beautiful example of what can be achieved in a residential setting under adverse conditions of slope and hot summer climates. 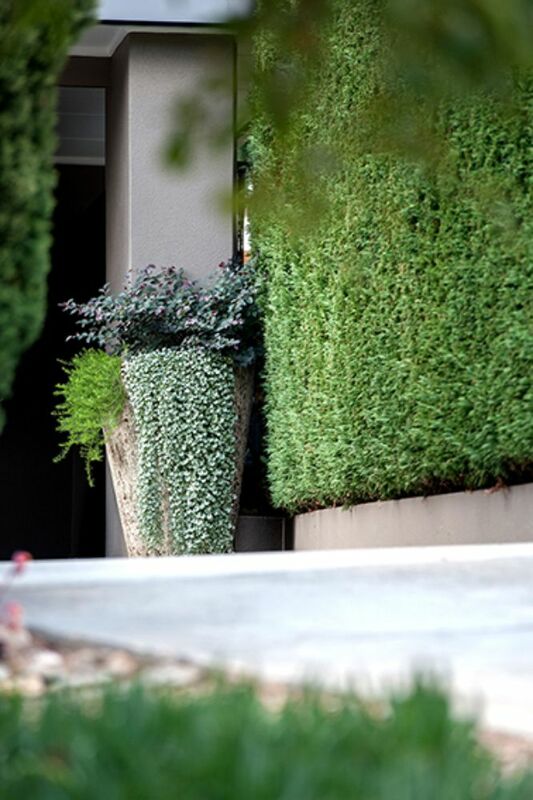 A large cypress hedge was planted 23 years ago when the local Eucalypts were removed, providing a green backdrop for a hardy plant palette, including euphorbias, Virginia Creeper and Pencil Pines for vertical interest, a range of succulents, and lomandra for movement. 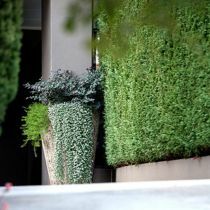 The hedge also provides a microclimate for maples and ornamental pears to grow. 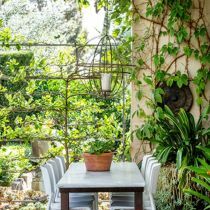 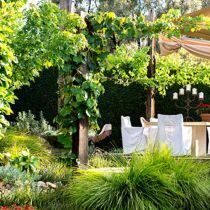 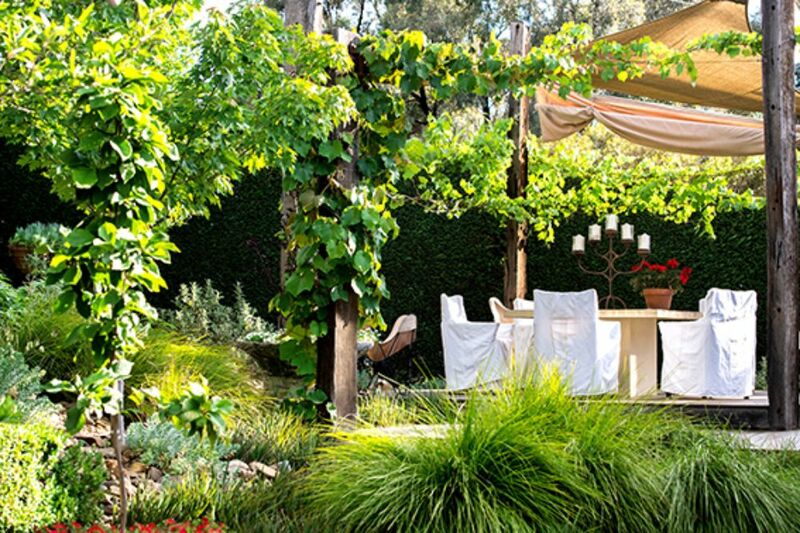 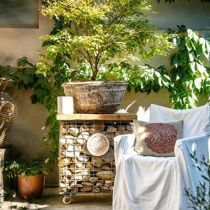 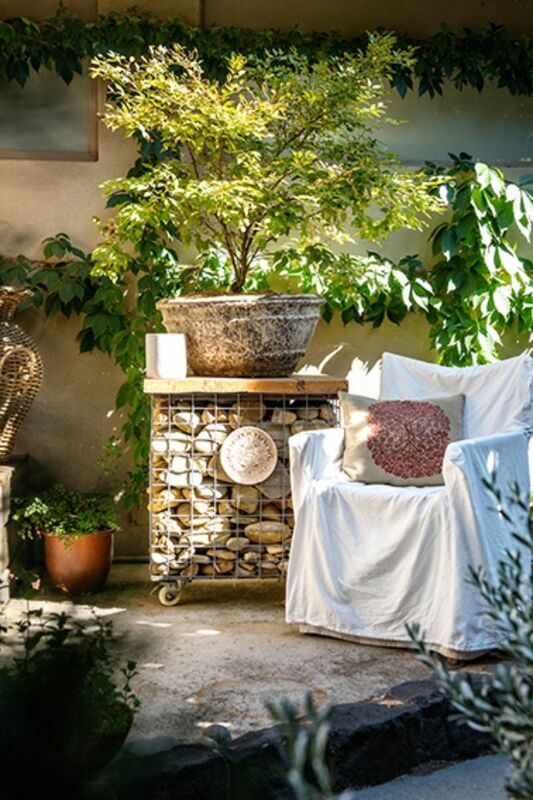 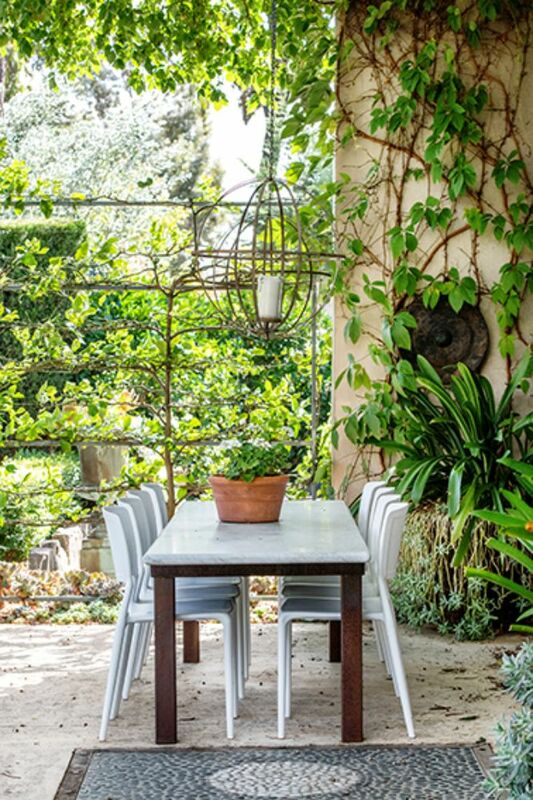 The garden features many lovely ‘living areas’ including a large deck draped in an ornamental grape vine, intimate nook with a miniature maple in a pot, outdoor dining area that looks over the hedging and a lawn. 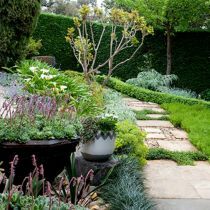 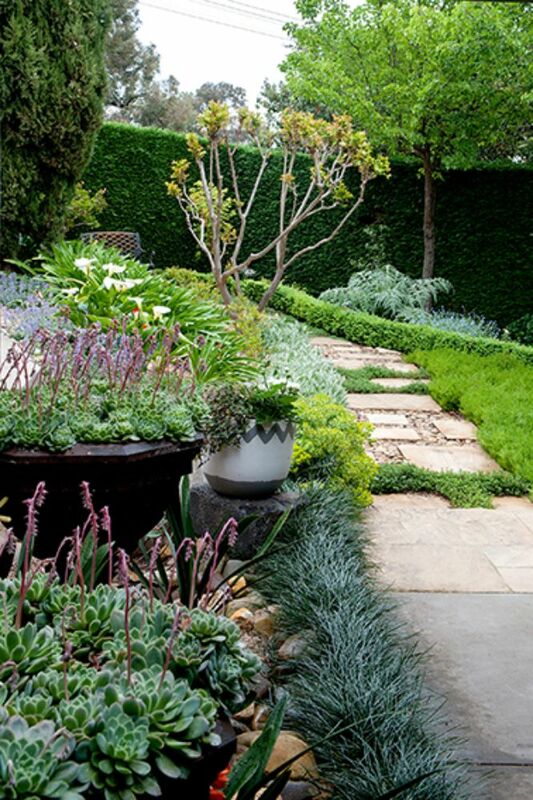 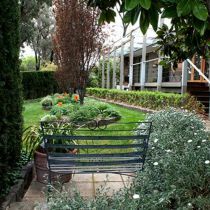 To one side of the house is a raised veggie garden, while the front of the house has a fine leaf Myoporum ‘lawn’ featuring soft curving hedging and a water bowl.